Many building owners do not pay attention to their roof until it leaks. Ignoring your roof may increase costs exponentially. For example, a failed roofing component may allow excessive moisture into the building envelope and may necessitate an entire roof tear-off instead of smaller, less costly repairs. Take a pro-active approach to your roof. Understand the existing condition of your roof. Set a goal to extend the life of the roof. CentiMark can inspect your roof and give an overall Roof Life Index score to help you prioritize and budget for roofing services. Knowing the condition of your roof, you will be better able to make budget decisions for repairs, re-roofing and extending the life of your roof. For all property owners, our best suggestion is to schedule an annual or semi-annual Preventative Maintenance Program. While certain roof damage may be visible at the roof surface, the untrained eye will not discover some damage (hail damage or moisture in insulation layers). 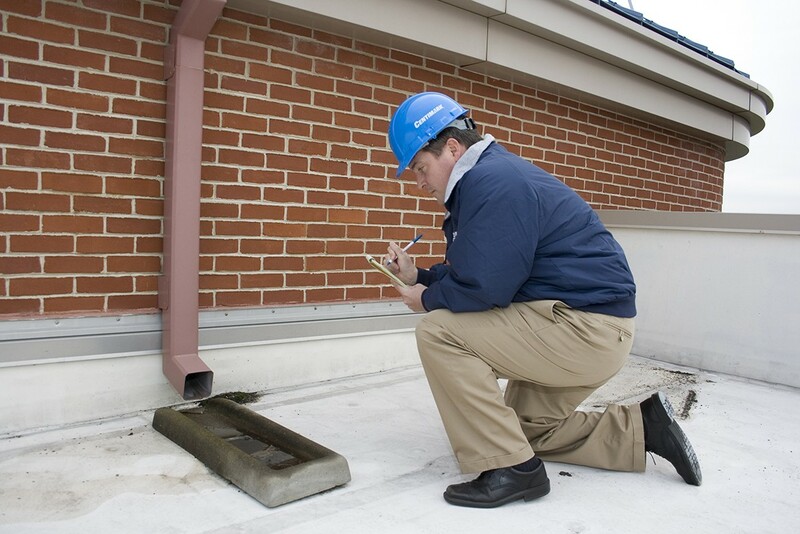 A Preventative Maintenance Program includes inspections and repairs of roof defects associated with drainage, counterflashing, penetrations, condition of membrane and roof accessories. Your bottom line: a Preventative Maintenance Program costs $.01 -$.03 cents per square foot per visit. For every dollar spent, it is estimated that five dollars is saved through reduced emergency repairs, decreased building interior damage and increased roof life expectancy. The intended service life of a roof is 20 years; a roof without Preventative Maintenance has an estimated service life of 12 years.